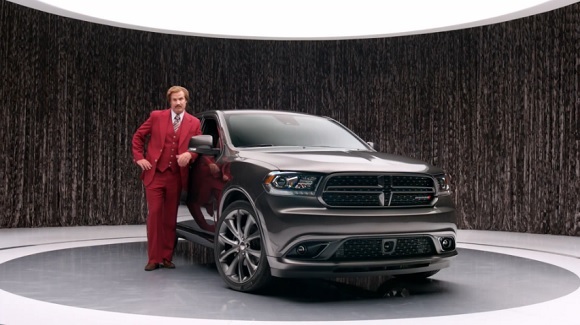 What was the most memorable product placement of 2013? Something from Iron Man 3 or Man of Steel, this year’s box-office winners? Something from The Big Bang Theory, Breaking Bad, Modern Family, Mad Men … or some other TV show? 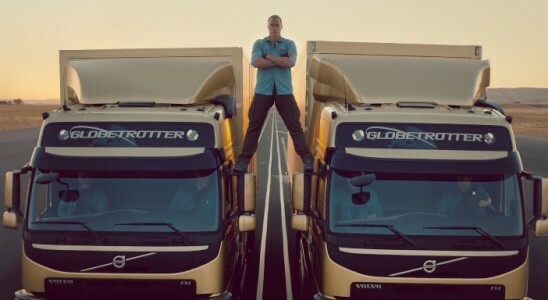 Here are some thoughts from product placement specialists. And at the end … my favorite placement from 2013. Jason Metcalfe, Consultant at Freedom Film Productions Inc.
“In terms of commercial success and great reviews in theatre: Man of Steel is the obvious stand out. Clear winner as far as product placement dollars and fans! 75 percent of the budget of the whole movie. 160 million or so. And it was different brands than you expect: Sears, IHOP and 7/11. Subtle, but there, and well integrated into the story in a natural logical way. On television, I’d have to say Modern Family has the best product placement. Natural logical integration into the show, and the brands even let them make joke, about the product. You can see hit shows like Arrow had obvious major financial support from Microsoft, yet the product placement didn’t really get featured or highlighted. Subtle is good, but invisible product placement is just wasting your money. It underwhelmed as opposed to overwhelm as it did on Hawaii 5-0. My personal favourite that I think was a very well targeted placement that was a big win-win for both the movie and brand: A movie of the week on the Lifetime channel called Forever 16. Targeted at the “Twilight” market, Kawasaki placed a new 2013 Ninja motorcycle in the hands of their lead character Raven. A “rock and roll” type rebellious young girl who was turned into a vampire. She works with the police using her vampire super powers to fight crime, and is about as far from the typical teen lead like Glee or Modern Family as you can get. She breaks into blood banks to steal blood to survive without killing people! “I know this is supposed to be about films, but I am thinking of some of my most memorable placements of the year and they all have to do with social media. “Here’s some information about our top placement, but what’s most notable is that this was not a paid integration and a great example of what can be accomplished by simply leveraging a brand’s assets and offsetting production costs. Coffee Beanery had a store build out in Showtime’s Shameless, where Jimmy (Justin Chatwin) is looking for a job and later gets employed as a barista at a Coffee Beanery. Starting on March 8th, Coffee Beanery was scheduled to be featured in four episodes of Shameless, but received additional exposure on the Season Finale episode that aired April 7th. “If I think for our little startup company, it was getting our repurpose compostable cups into the hands of people on both Law and Order: SVU and also- a biggie- into Francis Underwood’s hands in House of Cards. It showed a “green” product being used by people/characters not necessarily known as “green”. You see for sustainable habits to become the norm with the main population, they have to be seen as something that everyone uses, not just the 6% of educated “super-greenies” So having a “congressman” and some “NY Policemen and policewomen” using a compostable cup is a great step towards normalizing this type of earth positive behavior. Secondly, the House of Cards placement was huge. We had other products in other scenes, but to have the Emmy nominated, much talked about evil villain protagonist, played by Kevin Spacey, hold that cup, right there in front of the camera, was fabulous! I love product placement from Modern Family, but Mad Men remains my favorite TV show. One placement that has been the most memorable for me was Hershey’s placement from the season 6 finale. 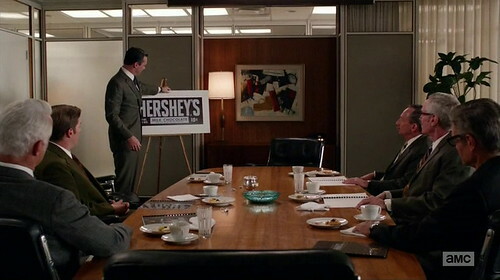 To read more about it, check the blog post Hershey’s in Mad Men: The currency of affection.